We are listing this fantastic large capsule Tube vocal microphone on behalf of a client, it was originally owned by Keith Grant of Olympic Studios and was used on many iconic sessions at Olympic including the Yentl album recorded by Barbara Streisand. It was one of 3 owned by Keith and it was his favourite, he gave the current owner the opportunity to try them all and he agreed, which is why he bought this one. There is some correspondence between Keith and the current owner which proves the authenticity of the microphone and which can be made available to the purchaser. 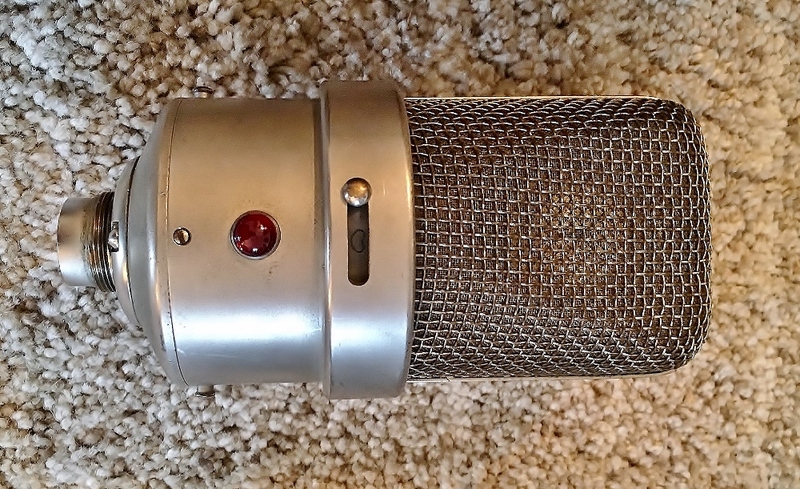 This superb microphone has the original valve and sounds fantastic, it was manufactured in 1952 and is in good condition. Comes with power supply and head lead.